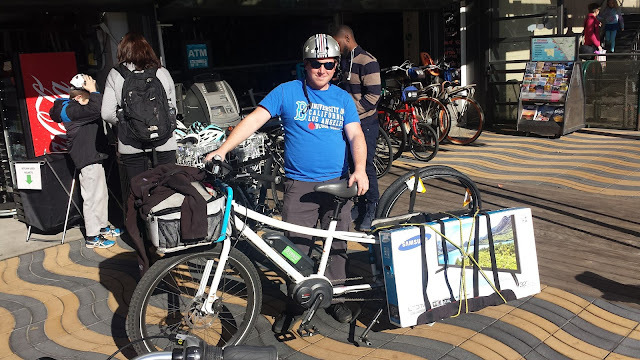 Cargobikelane: HDTV's by cargo bike is just too easy the way it should be! 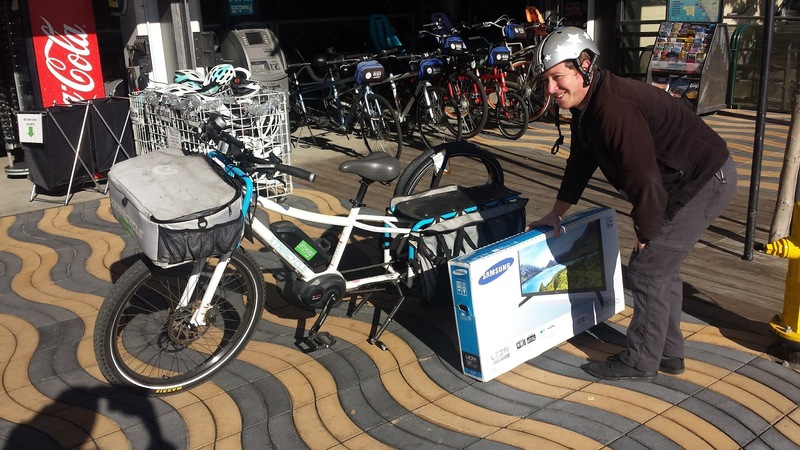 HDTV's by cargo bike is just too easy the way it should be! Mission accomplished! 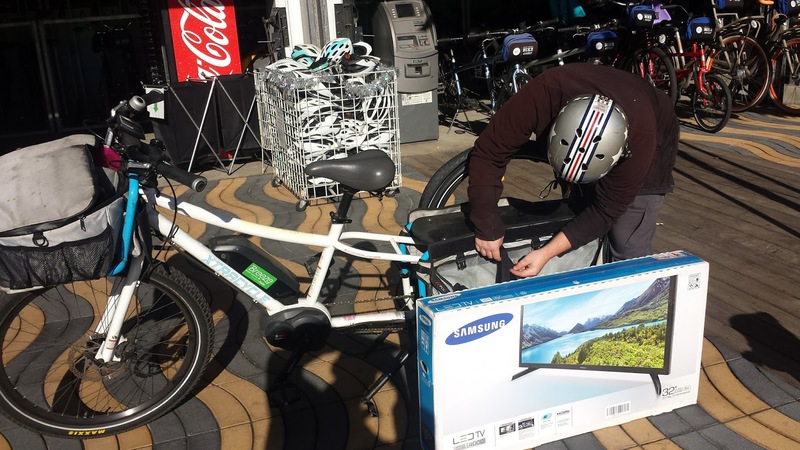 The first #bikepossible retail giveaway is in the books. A luck winner received and Samsung 32" LED HDTV. This was a great opportunity to showcase the power of the bicycle as tool for local commerce. Entry winner Owen met me at Santa Monica Bike Center for the hand off. 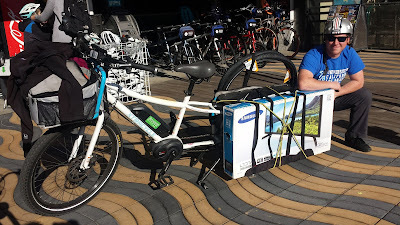 He showed up on a Xtracycle Edgerunner. This was quite and advantage for him, as it devoured the TV would out the slightest hiccup. Take a look at a few shots of the tie down. Owen road off into the sunlight on the bit of protected bike lane no less for his viewing pleasure. ENJOY! Thanks to Santa Monica Bike Center for providing the back drop for this fun meetup!